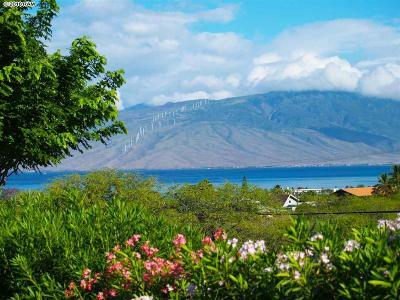 Kanani Wailea is a thirty-eight unit detached residential condominium project located in Wailea on the Makai side of the Piilani highway. With the convenience of condominium living (a community pool and spa), one can get the benefits of a single-family home. Kanani Wailea offers four floorplans, all at least three-bedrooms and 1,950 square feet of interior living space plus garage, lanai etc. The largest units are four bedroom and four baths and 2,300 square feet of interior living space. All units in this new development have granite countertops, central air, Wolfe/Sub-Zero/Bosch appliances and Leicht cabinets. Most of these residental condominiums offer ocean views with some being excellent views of the Pacific. This complex was sold out on a pre-construction basis two years ago, but some units are being resold recently.